The company asked the white hat, Jesper Andersen, to give it nine days to deal with the problem that it was publishing all users' location data to the entire web despite its privacy-policy promise to users that "You can opt out of such broadcasts through your privacy settings." 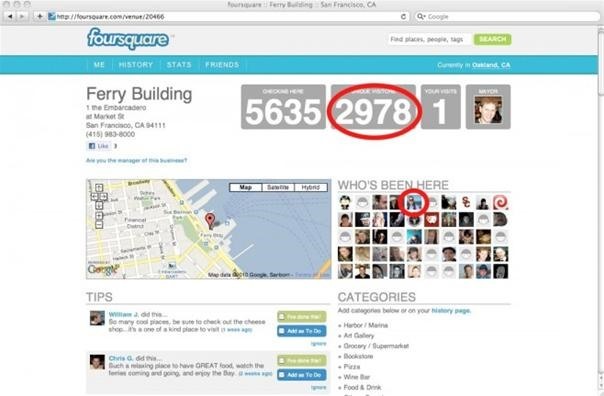 If you have a Foursquare account, you might want to review it. Via BoingBoing. I have all my privacy settings in place but do you think it's dangerous to follow brands? I mean I want to follow them in order to get the special badges but if whoever runs those can see all my info maybe i shouldnt.....?